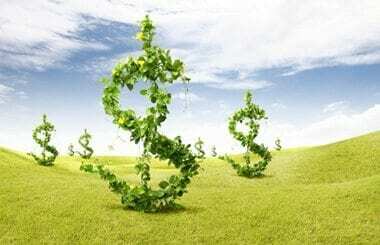 Is cleantech too capital intensive? Some “shaken” investors have walked away from the cleantech sector, claiming that it is too “capital intensive.” Is cleantech really any different from other sectors? And what do they mean by “capital intensive”? When applied to startups, the term “capital intensive” is unclear, so we offer a definition. Capital-intensive startups are those startups that require a large amount of high-risk capital (venture capital) to prove (or disprove) a technology or business model. As startups, MaRS-supported ventures raise high-risk capital almost exclusively. At the other end of the spectrum is infrastructure capital, investment required to build out a project that offers a fairly predictable return (a large data centre, for example). Once a startup has proven its technology or business model, it can begin to access lower cost growth and project capital. The cost of getting to this point should be of major concern to investors in all sectors. 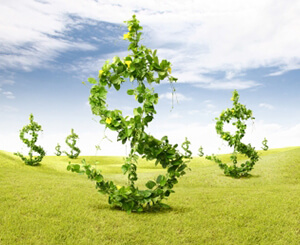 Are cleantech companies really capital intensive? Using our definition, some cleantech companies are capital intensive, while others are not—just like in any other industry. Energy information technologies and energy efficiency technologies, both booming cleantech subsectors, are often not particularly capital intensive. Companies in these subsectors have found success with smaller scale investment and we’re seeing great success stories, including MaRS’ own Zerofootprint, ENBALA Power Networks and CircuitMeter. Other MaRS-supported companies in sub-sectors that are typically considered capital intensive are also having success by taking different approaches. Hydrostor is an example of a company in the energy storage sector (which is typically perceived as capital intensive) that is demonstrating the viability of large grid-scale energy storage with just $2 million in risk capital. Hydrostor is currently deploying two commercial projects, one in Toronto and another in Aruba, where it will be storing megawatts of renewable energy in off-peak hours. Following demonstration of the technology at these two sites, Hydrostor will be positioned to start accessing lower cost capital (project capital). In comparison, LightSail Energy, a competitor that also provides compressed air energy storage technology, has raised $42 million of risk capital. The company is still developing its technology and has no commercial projects. Now, LightSail’s solution may prove to be a fantastic investment, but the cost to find out is very expensive—that’s capital intensive. If it turns out to be unviable, well, there will be a few shaken investors. Many industries, including oil, gas, real estate and energy, require large amounts of project capital; however, capital intensity in these industries is typically considered a positive factor. Major financial institutions aggressively seek opportunities where they can deploy large amounts of capital with predictable long-term returns. The ability to minimize risk capital and quickly access infrastructure capital is a key differentiator between Hydrostor and LightSail, and indeed between many cleantech companies out there today. Clean technologies tend to be large-scale systems with physical footprints. They cost money to build and maintain. The importance of separating types of investment is the same in cleantech as it is in any other sector.